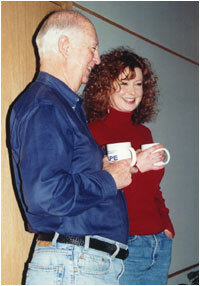 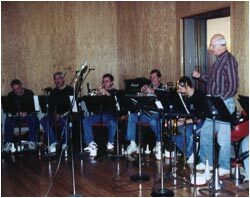 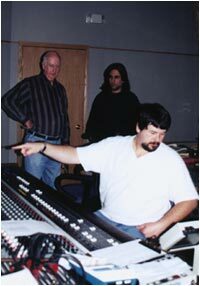 The master for “Ballroom Memories” was cut November 16 and 17, 2003, at Catamount Recording in Cedar Falls, Iowa, one of the Midwest’s finest recording studios. 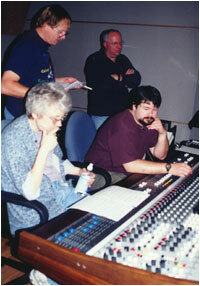 Musicians and arranger Les Aldrich listened to playbacks in Catamount’s control room. 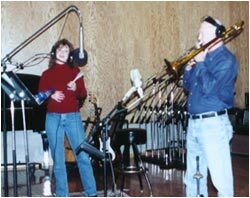 Bill’s daughter, Nola, flew in from Nashville over the Thanksgiving week-end to record her solo and her duet with Bill over the tracks previously laid down by the band. 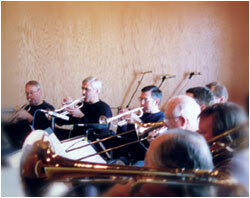 Bill also added his trombone solos to the mix that week-end.